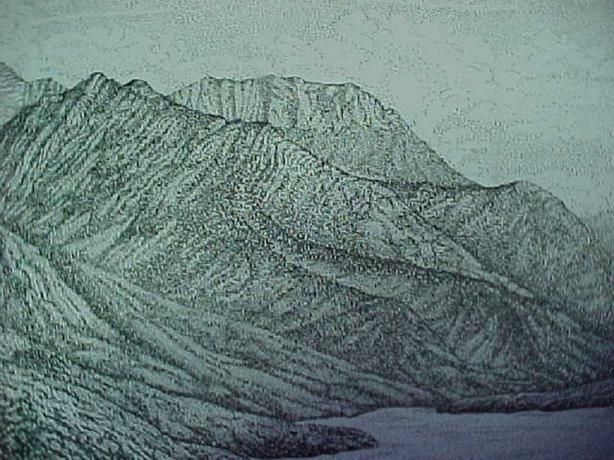 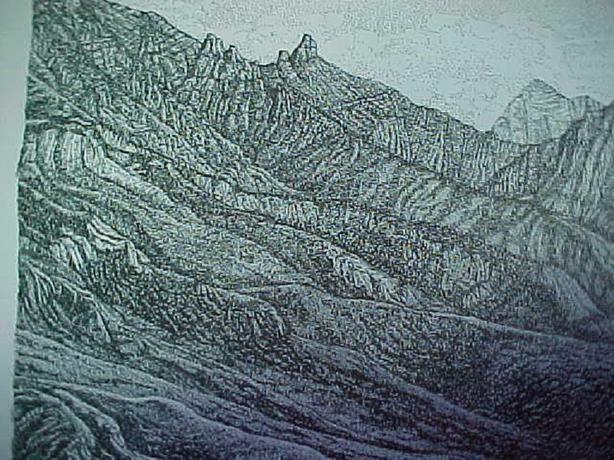 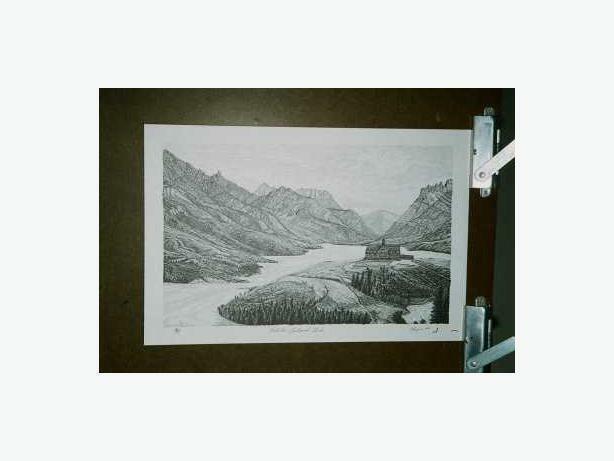 THIS BLACK AND WHITE PRINT OF AN INK DRAWING IS OF WATERTON LAKES NATIONAL PARK. 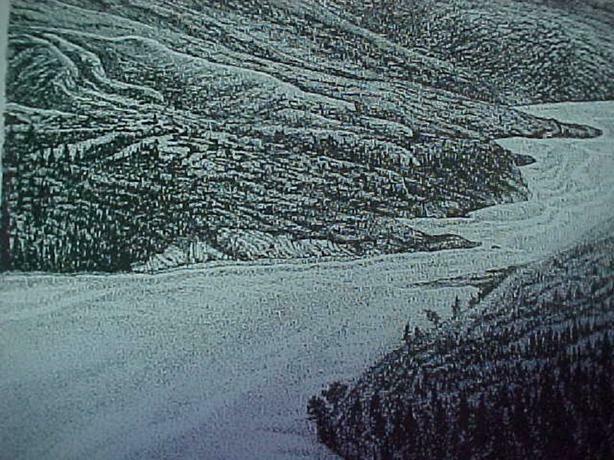 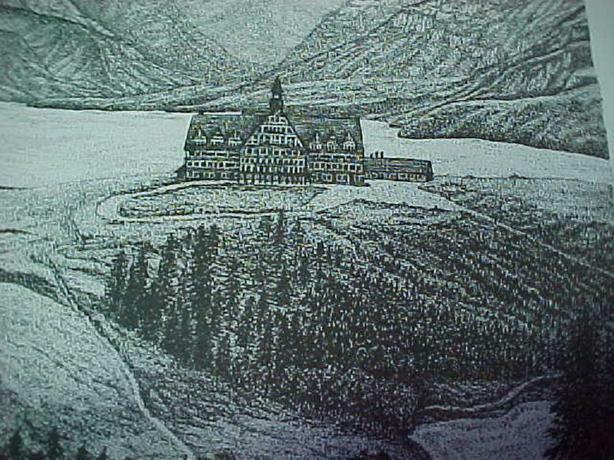 THIS INCREDIBLY DETAILED PANORAMIC VIEW IS OF THE FAMED PRINCE OF WALES HOTEL AND WATERTON LAKE. 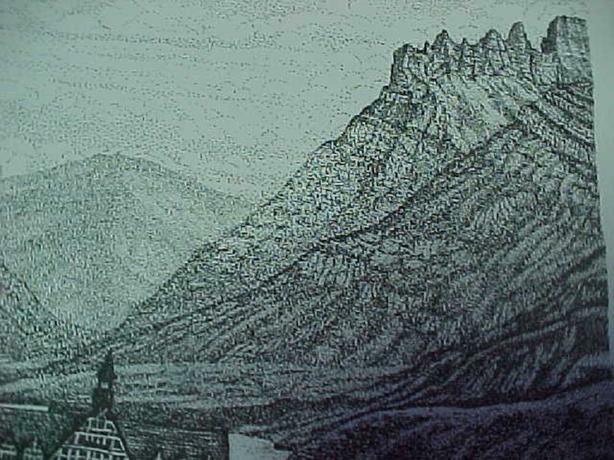 THE SIZE OF THE PRINT IS 18" X 12".